Here at Klein Forest, we believe that every student has the potential to achieve their SAT and ACT goal scores. All the students need is the time and resources to ignite their potential. 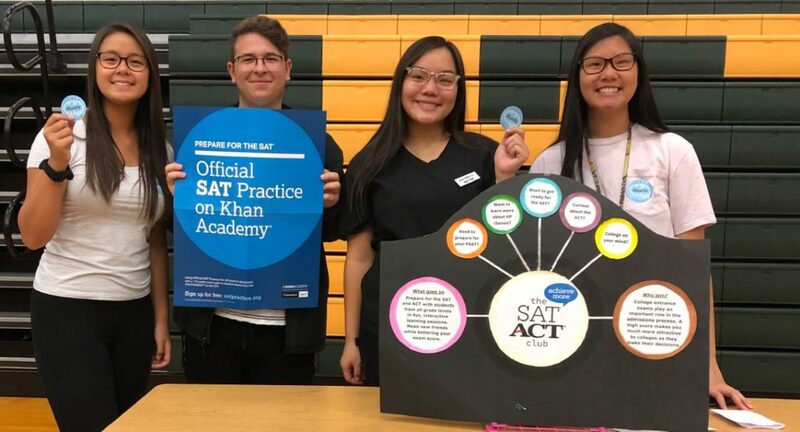 Inspired by other OSP Ambassadors in Klein ISD, three of Klein Forest’s Senior OSP Ambassadors began the SAT/ACT Club: Justin Tran, Ezinne Iwuanyanwu, and Vivian Nguyen. The SAT/ACT Club is meant to provide an environment and the resources to assist students of all grade levels in their SAT and ACT studying. We utilize the knowledge and skill of our top-scoring senior students to facilitate tutoring sessions. Not only are senior students able to display their mastery of varying subjects to underclassmen, but they are able to pass down unique test-taking tips. We believe that using a student-to-student relationship will create a familiar educational environment for younger students to feel comfortable when learning. All teaching materials are from SAT and ACT practice tests. Each OSP Ambassador takes turns selecting unique subject questions for our senior students to teach. They are given the questions multiple weeks in advance for planning purposes. Teaching other students improve senior students’ ability to communicate and organize lesson plans while improving on their own SAT and ACT comprehension. In addition to practice tests, the SAT/ACT Club promotes the use of Khan Academy. We believe that daily practice questions, outside of school, will improve the students’ scores exceedingly. From essay practice, to sample questions, to videos, we encourage students to utilize this resource to fit their own learning style. Our club is only able to function under the leadership of Michelle Schiotis, Sharri McGlauthing, and Imee Villarreal! Without their help, we would not have the resources to help students every day. In addition, our co-sponsors, Jason Stewart, Timothy Chun, and Anne Watson, are all huge supporters in our actions.